Working in a public library put me in the position to help patrons with all of their computer needs along with using Micrsoft Office and other applications. I worked for the public library in Henderson, Kentucky for a complete two years in addition to seasonal work during college. The type of work I did was help patrons check books in and out, locate books, and assist with computer programs. Not only did this teach me how to be very informed on how a business is run, but it helped me learn more in general. A library is full of opportunities to learn more about many different subjects and how to interact with people. I am currently in the process of obtaining my Bachelors of Science in Business Administration. I am at a Sophomore status at this point and will be considered a junior after this Fall semester. I am enrolled in almost all business classes from marketing to accounting. I have gained a large amount of knowledge on these topics throughout my past semesters. While being at Murray State I have been involved in multiple different clubs including an honor society and a student alumni association. 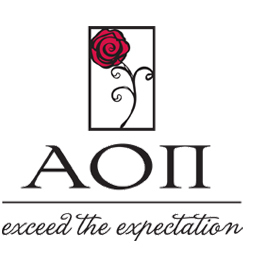 I have also been in Alpha Omicron Pi where I have become very involved in philanthropy events on campus and reaching out to those in the Murray, Kentucky community.